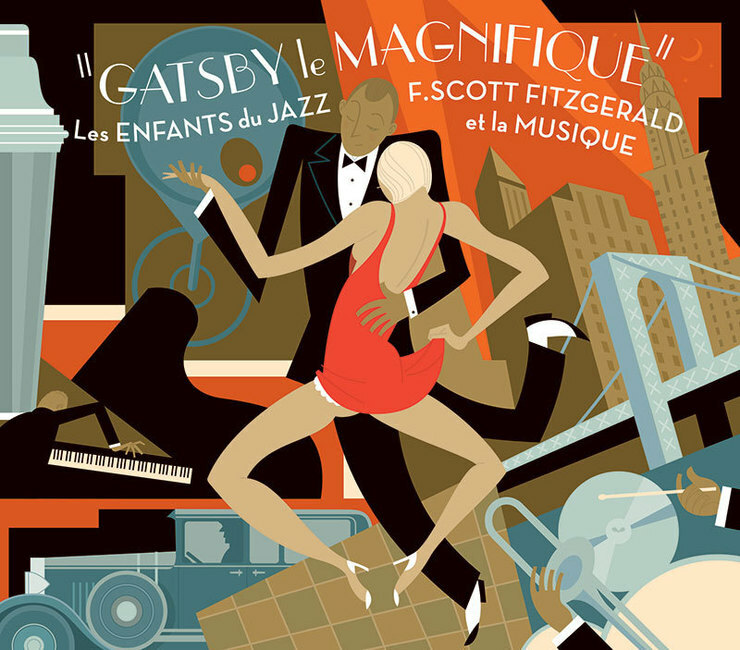 Here’s a CD cover for Editions Milan Music collection of songs from the Jazz Age and associated with The Great Gatsby. It’s a great selection that includes Fletcher Henderson, Fats Waller, Bix Beiderbecke, but no Jay-Z. 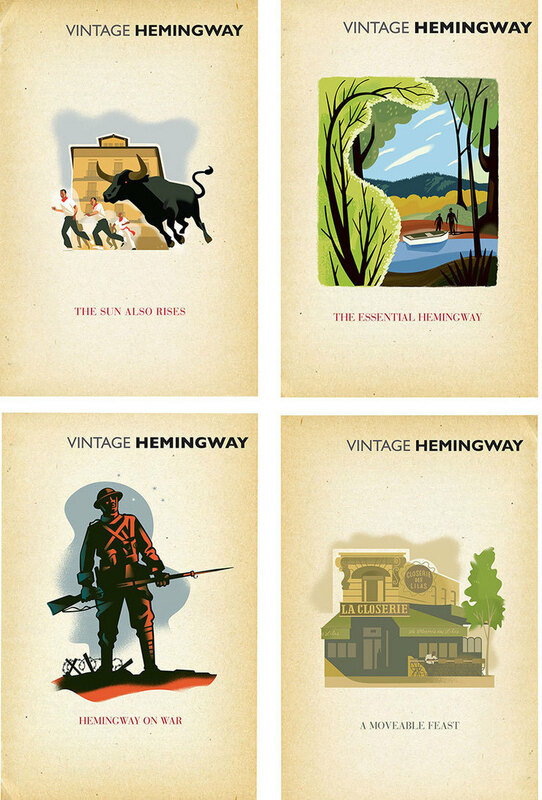 I’ve done ten covers for Random House UK of Hemingway classics. 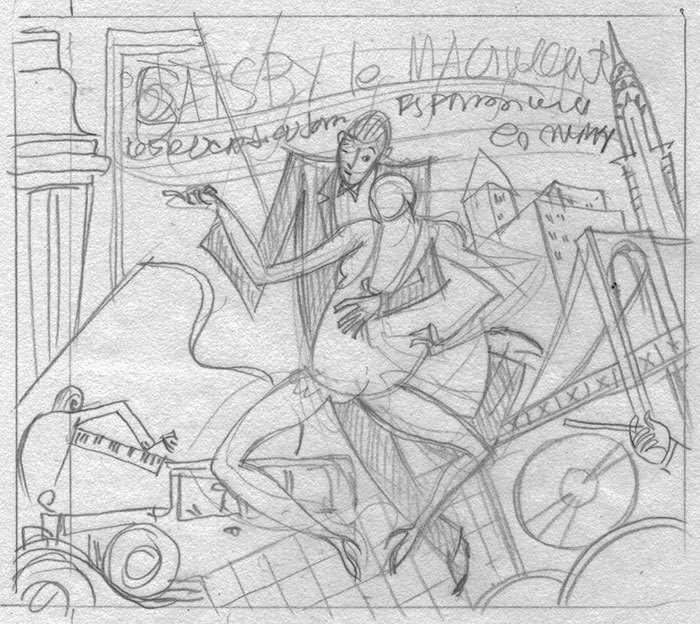 There’s nothing fine and noble about illustrating a book jacket unless you do it gracefully. And then it's not only noble but brave. No cover is terrible if the story is true, if the design is clean and honest, and if it affirms courage and grace under pressure. The CD cover is a joy. Love the composition and colors, not to mention the drawing that goes on in the sketch. All top shelve work, plus a preliminary sketch to shed some light. Paul: How very fresh and evocative. Better, I'm sure, than this movie. Baz will film Ullysses next. And yeah I always miss Jay Z in those Bix solos. These are both beautifully designed projects. I especially love that female figure, it's very evocative of the period. nice subtle details.